How do artifacts give us clues to the past? Follow the archaeological process from the dig to the display, and participate in hands-on activities to discover the stories told by the artifacts. Presented in collaboration with the Santa Cruz Archeological Society. Event is free; rain cancels. The Santa Cruz Mission State Historic Park is located at 144 School Street in Santa Cruz. For more information, please call (831) 425-5849. 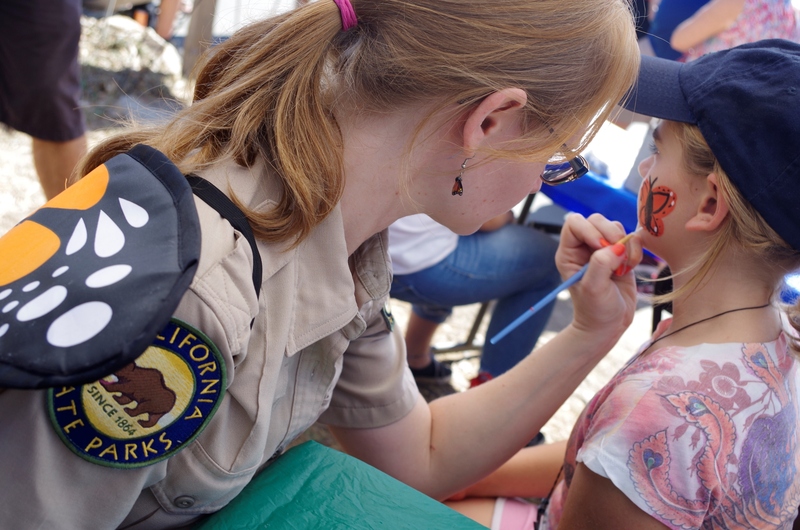 Events made possible by Friends of Santa Cruz State Parks and California State Parks. The Santa Cruz Public Library System (SCPL) will offer free financial literacy classes at the Downtown Santa Cruz and Boulder Creek Branch Libraries. These programs were made possible through partnerships with three community experts, and classes cover a variety of topics to help people take charge of their financial lives. Financial Fridays is led by Jennipher Lommen, a Certified Financial Planner. This series starts September 14th and runs through March 2019 with a break in December. The series begins with retirement planning and covers Medicare and long term care in October and November, respectively. Money Mondays is led by Financial Literacy Coach Lisa Bennet. The series starts September 24th and runs through March 2019 with a break in December. Topics will include: uncovering your money archetype, creating a spending plan, credit and your credit score, insurance, stock market basics, and funding college. Another Financial Fridays series will be held at the Boulder Creek Library. This series is led by Aaron Brandt, Financial Advisor. The series kicks off September 14th with the foundations of investing, then covers retirement by design in October, preparing for the unexpected in November, and estate planning in December. According to Library Director Susan Nemitz, "Financial literacy is a critical skill that isn't always taught in school or at home. Yet the ability to make financially responsible decisions is an important part of everyday life. Making sure people have these skills can help improve outcomes for our entire community." The library is offering no-cost learning opportunities to bridge the gap in knowledge. Financial Fridays is led by Jennipher Lommen, a Certified Financial Planner. This series starts September 14th and runs through March 2019 with a break in December. The series begins with retirement planning and covers Medicare and long term care in October and November, respectively. Every 2nd Friday of the month at 1:00pm - 2:00pm; No class in December. Learners write code, execute it and see their changes in real-time! Ages 8-18. The Live Oak Library book group meets on the second Friday of the month from 2:00 pm - 3:00 pm and all adults are welcome. Reading selections will be made by the group with an emphasis on thought provoking fiction and challenging non-fiction. Check with the front desk staff for the current month's book selection. It takes all kinds, so come and celebrate your different stripes! Join this fun bike ride. It takes all kinds, so come and celebrate your different stripes! So many different types, so little time! From zebra to tiger, rainbow to candy cane, where's waldos to fashionistas, and beyond! SC Bike Party loves your creativity and building community on bicycles. Come join us for our January ride. Costumes encouraged, but definitely not required. SC Bike Party starts and ends outside the Bike Church at 703 Pacific Ave downtown. The route is not the same every time, but each month organizers will post the route online ahead of time in case anyone misses the start and wants to catch up. Once per month, all year long. We meet at 7pm every second Friday of the month. Rides usually leave about 7:15 and last about 2 hours. - Stay to the Right / Stop at Lights - This is not Critical Mass. Please stay to the right on 2-lane roads, or in the right lane on larger roads. - Ride Straight - Please help avoid crashes by riding predictably, without any sudden turns or stops. - Don't Hate - Please roll past any conflict that might present itself during the ride. - Pack your Trash - Bike partiers aspire to leave party stops in better condition than we found them. - Don't Get Smashed - Riding while inebriated poses a danger to yourself and others. Don't ruin the fun for everyone else by overdoing it. Lights - Rides are at night, so let's make sure to be visible. Locks - No bikes have been stolen from the SC Bike Party, but during breaks better to be safe than sorry. Layers - As we all know Santa Cruz evenings can get damp and chilly. Water, snacks - Our stops are not always near stores, so best to bring what you need. Tube, patch kit, pump, tools - The ride is unsupported; please come prepared. Join Judy Sears, California Naturalist, for a 1.5 hour nature drawing session. Join Judy Sears, California Naturalist, for a 1.5 hour nature drawing session. If the weather is pleasant, the group will stay outside to discuss and practice ways to draw what you are most curious about in nature - from leaf to watershed. No drawing experience necessary. Just bring a notepad with a rigid back, a pencil, and your curiosity. You may also wish to bring a chair or pillow so you can sit comfortably on the ground. For more information, call (831) 427-2288. Event made possible by Waddell Creek Association and California State Parks. Like old planes? Come visit us! Historical Aircraft Display every second weekend from 10 am – 4pm. Life in California before the Gold Rush wasn't all-Zorro, all-the-time, but it did have its share of romantic charm and excitement. Step into the Pájaro Valley's past with this sneak peek into our future state park. Bring your sweetheart, or meet somebody over traditional hot chocolate in our Mexican-era adobe's restored kitchen; we'll provide the fire, you bring the "spark." Who knows what may blossom while you stroll through our historic garden and orchard? If the close relationship between California State Parks and Friends of Santa Cruz State Parks can bring this jewel from our rancho past back to life, anything's possible with a bit of love! Event is free; limited parking (carpooling encouraged). Active construction site, open only during scheduled events like this. "San Francisco: Still Wild at Heart,"
A film about coexisting with the coyotes in our cities, towns, farms, and ranchlands. NATIVE ANIMAL RESCUE PRESENTS "San Francisco: Still Wild at Heart," a film about coexisting with the coyotes in our cities, towns, farms, and ranchlands. This film and guest speaker Camilla Fox, the founder of Project Coyote, will give you new insights into this resilient animal. Saturday, February 9, 7:00 PM, at the Rio Theatre. Advance tickets: Adults $15, kids 12 and under $10. At the door: Adults $20. This intriguing film tells the story of the return of coyotes to San Francisco and other American cities. Scientists provide insights into how coyotes impact city ecosystems and how we can coexist with them safely. We learn how ranchers in Marin County are using a combination of humane, non-lethal predator-control methods to protect their livestock and reduce conflicts with coyotes. Whether you love them, hate them, or just want to learn more about them, this entertaining and informative film will shed light on the unique ability of coyotes to rebound from all attempts to remove them from our midst. Following the film, guest speaker Camilla Fox, founder and executive director of Project Coyote, will share her knowledge and wisdom about coexisting with coyotes and other carnivores in our midst. Questions are welcome. Proceeds will benefit Native Animal Rescue, the Santa Cruz County non-profit dedicated to the protection, rescue, rehabilitation, and release of injured, sick, and orphaned native wildlife. Celebrate the migration of whales, butterflies, birds and the many creatures that travel. Fly, swim, waddle, walk, bike, or drive as you migrate to Natural Bridges State Beach for a full day of activities that celebrate the migration of whales, butterflies, birds and the many creatures that travel. The park will host migratory animal talks, active kids' games, crafts, skits, live music by the nature-loving 5M's Band, over 20 organizations' educational booths and displays, and a "migration passport" that you can complete at the festival! Food and beverages will also be available. For more information, call (831) 423-4609 x 8. Event free. Vehicle day use fee is $10. DEMO INFO: Having taught multiple classes on Art Journaling, led field trip paint-alongs, and completed stacks of her own Art Journals, Ruth Korch is a wealth of information on Art Journaling. A passionate lover of letterforms, she loves to help people incorporate words onto their journal pages. She also loves helping people realize that there are multiple ways to enjoy Art Journaling and to help them find the way that works best for them. Ruth will be demonstrating an Art Journaling page, not only done in a number of different styles, but in a variety of different mediums. She'll be answering questions like "What do I do if I want to put something in my journal, but only have a few minutes because I'm traveling with someone?," "What kinds of hand lettering work well on Art Journaling pages?," and "How in the world do I begin to capture a vast complicated scene in front of me on a small journaling page?" Come learn some insider tips and tricks for enjoyable Art Journaling, browse through her journals, ask questions and ultimately get inspired for creating your own unique Art Journals. ARTIST INFO: Ruth Korch is a local professional artist, calligrapher and art coach. She relishes the variety and continually changing combinations that these roles provide. You may have taken one of her classes in her home or at the Santa Cruz Art League, visited her studio during Open Studios, or seen her artwork on past years' posters of the Capitola Begonia Festival. Her medium choices are varied, but most often she finds expression in watercolor. She especially enjoys the pairing of text and image, and the endless possibilities of combining the power of words with the impact of visual imagery. One of her very favorite ways to do this is with her Art Journaling - capturing every day moments in life and adding beautiful hand lettering to record and remember. She recently traveled with her husband across France, filling her art journal with scenes and moments to treasure and revisit. Brought to you by the Dickens Project at UCSC & Santa Cruz Public Libraries. The Santa Cruz Pickwick Book Club is a community of local bookworms, students, and teachers who meet monthly September-June to discuss a nineteenth century novel. Join us each month for conversations about the novel and guest speaker presentations to help us contextualize our readings.